Finally, a convenient and time-saving way to looking your best! The Oscars maybe over but the secret of the stars can still be yours. Laser Genesis Skin Rejuvenation Treatment is a US FDA-approved treatment that uses non-invasive laser technology to safely and effectively treat fine lines, wrinkles, large pores and uneven skin texture. 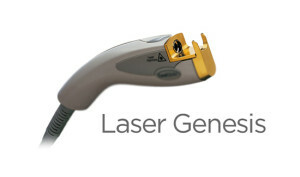 Laser Genesis is also used to treat Rosacea, diffuse redness and to reduce acne scars. Complimenting the Laser Genesis Treatment is the Lime Light IPL Treatment, also US FDA Cleared, offering a unique non-invasive skin rejuvenating treatment combination. glominerals make up cosmetics are also available in Cutis Medical Laser Clinics. Enjoy the Spring with our glōSpring Collection – lovely brand new items and pastel colors that compliment your skin tone and give you that Hollywood glō! Known by Hollywood as the miracle make-up, glōminerals has triple-milled minerals, green tea extract and a powerful antioxidant complex. It is talc-free, non-comedogenic and free of perfumes and chemical dyes, making glōminerals suitable for even the most sensitive skin types. For more details, contact us at +65 6801 4000.